Should I buy an ALDI Special Buy? ALDI is gaining traction among Australian shoppers for its focus on low-cost groceries. From time to time, it also offers ‘Special Buys’ – those usually only available for a week at a time, or while stocks last. ALDI Special Buys are immensely popular, but are some better value than others? Canstar Blue reviews Special Buys from ALDI to see if you’re really getting a great deal or not. Not content with just selling you milk and bread, ALDI stocks some exciting stuff like snow gear, cheap TVs, homewares, lawn mowers, and in the southern states of Australia, alcohol. As one of the most hyped ALDI Special Buys, the snow gear always garners press and a huge furore around late May when it goes on sale. Right before the opening of the Aussie ski season, customers often wait for ALDI to open its doors, and then pilfer through the infamous ‘middle aisle’ to seek out the hottest snow gear. ALDI’s snow gear – brand-name ‘Crane’ – is immensely popular due to its low, low prices, making it more accessible for families to take a snow trip. Snow gear in general is usually pretty expensive, but ski jackets can be had from as little as around $60, and helmets and goggles are the same. Also on sale are base layers, which are also pretty cheap. Just because they are cheap doesn’t mean they are rubbish, and they often outclass other brands’ jackets that cost $200+. In ALDI’s ski jackets, expect 10-20,000mm waterproof ratings, which is necessary in the relatively warm Aussie snow climate, many pockets and storage options, lined hoods and other features found on more expensive jackets. Goggles and helmets also comply with tough Australian standards. Booking a ski trip is already expensive enough without lumping in outerwear. Often, families can buy gear from ALDI for cheaper than it would cost to rent the same on the slopes for a week or so. Bauhn is a German-sounding brand of TVs that is sold exclusively in ALDI stores, and they are sold on a promotional basis. You have to get in quick, because usually people line up to get them and stock is exhausted the day they are released. Basically with Bauhn you can expect big sizes for low prices. 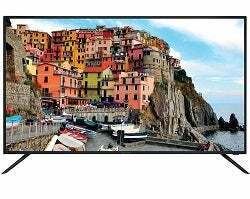 For example, the latest deal going around is for a 58” 4K TV, costing just $799. This TV boasts 4K ‘ultra HD’ resolution, and is a smart TV with Netflix and Stan app integration. While you can’t expect the world out of these TVs, they do represent a cheap option for those on a budget, or as a capable bedroom TV. Also expect Bauhn to throw in extras like Google Chromecast Ultra, which is capable of streaming 4K quality shows. Perhaps less hyped than the previous two Special Buys, ALDI Homewares often imitate more expensive homeware designs, but are delivered at cheaper prices. As a direct competitor to the Kmart juggernaut, ALDI homewares are notably inspired by the ‘Scandi’ home living brand. ALDI homeware products are often seen as ‘exclusive’ because of their limited availability, with its low prices driving popularity. ALDI also limits how many items any one customer can purchase. Instead of a cushion that costs £50, ALDI in Australia has similarly-designed cushions that cost $20, while coffee tables are as low as $60, and so on. For the big-ticket items like coffee tables and other furniture, you’ll have to get in quick. Usually a few days after it’s released, the only homewares left are cushions and bedspreads. If you’re redecorating your home, a trip down that ALDI middle aisle may be on the agenda. ALDI is known for providing its own brands, but one thing’s for sure; it probably can’t replicate the iPhone. So, the budget supermarket chain has taken to stocking refurbished iPhones for a relatively cheap price. While you won’t find the latest and greatest iPhone 8 here, you will find older generations. While these are pretty cheap prices, you’ll have to weigh up whether an old refurbished model is worth it. Refurbished basically means it’s been used in some capacity before but has been restored to its former glory. If you’re after a cheap phone, and a cheap plan, ALDI does provide a one stop shop for both; you can see a range of ALDI phone plans below. Instead of browsing the intimidating beauty section of ritzy department stores, luxury skincare can be picked up from ALDI at, again, a fraction of the price. ALDI’s Lacura brand of skin care keeps its usual offerings on shelves year-round, but also regularly offers other unique formulas available exclusively as ‘Special Buys’ promotions. A recent example is the Lacura Skin Science Caviar range, containing caviar which is said to boost collagen production and (through its omega fatty acid content) help retain fluid in the top layer of the skin, making skin softer, plumper and younger-looking. Last year, avid ALDI shoppers may have spotted Lacura Skin Science Icellage, this time with the unique ingredient called ‘PhytoCellTec nunatak’ from an alpine flower. Each formula is usually offered in a day cream and night cream, as well as one or two additional products such as eye cream or gel, face mask, or skin serum. 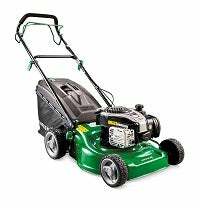 A bit out of left field – even by ALDI standards – is the fact it sells petrol lawn mowers. Compared with other popular brands, ALDI lawn mowers are dirt cheap, and cost less than $200. For this you can expect 139cc of power, a four-stroke engine, and a 16” cutting width, which equates to about 40cm. While this is on the smaller side, the petrol power means you’ll be cutting through suburban grass with ease. Also available are line and hedge trimmers which cost less than $100. While you can’t expect a sub-$200 mower to tackle all jobs, for most suburban applications an ALDI ‘Gardenline’ lawn mower should be fine. Evidently with the Gardenline range, ALDI has become a competitor to other low-cost hardware stores like Bunnings. Priced at less than $100, the ALDI vacuum cleaner range covers a variety of types from standard barrel vacuums to your stick vac cleaners. In ALDI’s vacuum range, expect 2200W of power, a washable HEPA filter and a transparent easy-to-empty dust bin. 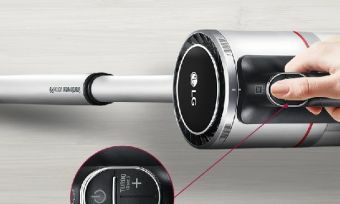 It also offers a 2-in-1 Cordless Vacuum Cleaner with a rechargeable lithium battery that provides up to 30 minutes of run time. 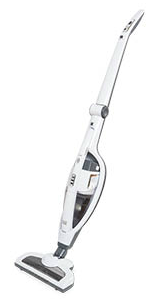 The design features a reverse folding handle with headlights for cleaning under furniture and while it may not be as compact it has a detachable handheld vac for the hard-to-reach areas. As another option, ALDI’s 1600W backpack vacuum comes in under $150 with an ergonomic harness and velcro waist strap, claimed to be lightweight and easy to wear. Or for a cheap steam mop, you can’t go past ALDI’s 1500W model, prices just under $40. The ALDI steam mop allows for 20 minutes of run time with a 25 second warm up time. If you wanted milk but had no fridge to put it in, then you’re in luck because ALDI sells both. ALDI produces its own line of whitegoods, with bar fridges and chest-type freezers at the forefront. An 82L upright freezer has been available for around $200, while a 145L chest freezer is around $250, and a 129L bar fridge around $190. Also among the whitegoods range is a 34L microwave oven for about $120. Blenders, air fryers, kettles and stick mixers are also available from just $20. For fun kitchen appliances and whitegoods for entertaining, ALDI may be worth a look into. Straight off the bat, ALDI entices all over-18 alcohol connoisseurs with the motto of “don’t knock it till you try it”, and with that invitation, drinkers are presented with a large array of wines, champagnes, beers and ciders, as well as spirits. Perhaps most infamous is the £6 ($10) bottle of ‘Exquisite Collection Cotes de Provence Rose 2016’, which has won awards the world over. It’s not available in Australia yet, but that hasn’t stopped us from sampling other ALDI delights. ALDI’s alcohol brands are entertainingly similar to other big brands, and with similar labels. No doubt after a few wines with the girls the labels all start to look the same anyway. Some Sauvignon Blancs are available from as low as $3, while beers can be found for less than $10 a six pack. Spirits can be found for less than $30 for a 700mL bottle and are said to not be a half-bad drop, though some connoisseurs may not be able to get over the fact they are drinking an ALDI product. Just because they’re cheap though, doesn’t mean you should drink more. As always, drink responsibly. ALDI alcohol is only available for sale in ACT, NSW and Victoria. Are ALDI Special Buys really that special? ALDI’s low prices draw people in, and in fact may encourage those to randomly splurge on stuff they may not have considered. As always, decide if there’s actually a want or need for that cheap Special Buy and go from there. By the same token, don’t get too distraught if you miss out on a deal. Often shoppers like to rush in for certain items when there’s no need to. While big items like TVs go fast, even snow gear is available for weeks after the initial release. And if not, chances are that particular Special Buy will come around again later in the year. ALDI’s Special Buys certainly are special – and make consumers do some ‘special’ things. It could be worth taking a look at ALDI’s middle aisle the next time you’re there to get a few things. But don’t get too carried away.